Dentist Dr. Gary A. Grablin and his staff want to help you have healthy, beautiful, well-functioning teeth for the rest of your life. At Health Centered Dentistry of Marin, we consider it far better to provide preventative dental care, rather than to simply treat diseases after they occur. We take advantage of the latest techniques available in the dental industry, including dental fitness checkups, microscopic dentistry, tooth decay reversal, and Clifford Reactivity Testing for chemical sensitivity. Dr. Grablin has spent over 3700 hours in continuing education since graduating from UCSF Medical Center. Dr. Grablin provides a full range of dental services, from aesthetic dentistry to perfectly-fitting crowns. Because he practices microscopic dentistry, he can diagnose dental disease that cannot be noticed by the naked eye and complete his work with meticulous accuracy. 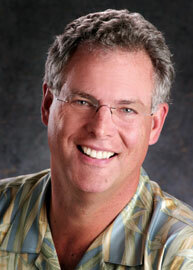 Dr. Grablin offers comfortable injections and is one of a very few mercury-safe dentists in Marin County. He is also a specialist in helping people with TMJ. The cornerstone of Dr. Grablin’s dental practice is the Dental Risk Assessment. Through this assessment, his patients learn the degree of dental health they have today and come away with a clear understanding of the preventive measures they can take to prevent tooth decay and gum disease. During subsequent dental exams, they can track their progress. Dr. Grablin’s patients appreciate his warmth, kindness and attention to their personal comfort. Combining a gentle technique with a caring environment, Dr. Grablin is especially effective in treating patients with dental fears. His office is located conveniently in downtown San Rafael. If you are looking for a skilled and caring dentist, Dr. Gary A. Grablin DDS looks forward to helping you. Please call: (415) 454-3222 to set up an appointment.